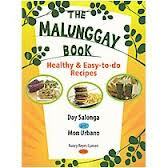 Last year of November, I received an email from Chef Theodore Day Salonga, a co-member of Kulinarya, inviting anyone from the said group to join them as Monday Chefs and Nancy Reyes-Lumen launched the book "The Malunggay Book: Healthy & Easy-to-do Recipes." Kulinarya is a cooking and blogging group established online highlighting Filipino culinary fare, with members coming from every parts of the world, like the US, Canada, Australia and of course the Philippines. MonDay Chefs, however, is a restaurant solutions provider formed by Chef Day and Chef Mon Urbano in 2008. It got me excited not only because, it was my second time to attend a book launch from Anvil but also it was another second, since Chef Day is the second member of Kulinarya that I had met in person (next to Peachy of The Peach Kitchen), his blog by the way is Chef by Day. The 65 recipes comprising the book are easy to follow with a highlight on the nutritional value of Malunggay, which is easily accessible to most Filipino households. Like what Ms. Nancy wrote in the book "M stands for Malunggay, Moringa (Oliefera), miracle plant..." Many is not aware yet of how powerful this plant is. Coined as "super plant," every part of the tree can be used for sustenance and have found to be the most antioxidant-potent food on the planet, a multipurpose plant, as the leaves, pods, fruits, flowers, roots and bark of the tree can be utilized. In addition to ranking first in antioxidant content, Moringa oleifera (Scientific name) contains over 90 nutrients such as vitamins, proteins, amino acids, iron and calcium, offering unique anti-aging and energy-enhancing characteristics. The benefits of this "super plant" have been embraced as one of nature's most powerful sources of nutrients to support healthy living in the India, Africa and South America for more than 2,000 years. Health and wellness experts in the U.S., including Dr. Mehmet Oz, and in Europe have begun recommending Moringa oleifera for sustained energy and general wellness. Moringa oleifera was recently featured on "The Dr. Oz Show" as a way to jump-start the day and re-energize your life. Frankly, I can only think of a few dish to put Malungay leaves to, and only one with its mature pod, known as the drumstick. In the book, Chef Mon and Chef Day have showed that malunggay is propitious, demonstrating that it can be used in an array of dishes, desserts and even beverages. At its launch at the Powerbooks, guests were treated with samples of dishes from the recipes lifted from The Malunggay Book. There are some dishes though that may leave a bitter aftertaste, which might require an acquired taste, but I guess as long as you put your mind to its benefits, it wouldn't be hard to ingest. Like these toast that have Malunggay Terrine. "Hey, don't you throw those stick away!" As you can see, brilliant yet cheap decorative ideas have even popped up while they were developing all those recipes, like using it's left-over stalks and putting a bunch of it on a vase. Malunngay and Kamote Gnocchi looked so inviting as well. It's a hand-made pasta (ball in form) with malunggay and camote added to the flour mixture. Here are a few good ways of tricking your kids to have their veggies. Why not put the malunggay in cookies and cakes? It will blow your head off once you have tried these. You can actually spot a Malunggay cookie, atypical and ludicrous, as may seem, you can never find a cookie with green leaves on it, until now. But I really found the idea to be a genius. I actually tweaked a few of my chocolate cookie recipes and incorporated malunggay into them. And you know what, my kids loved them! For regular oatmeal cookies, it would be a wee harder to be accepted in the sweet industry but in chocolatey desserts, you wouldn't even know that malunggay are there. Yup, that was I how I tricked my two little girls. Shhh! Please keep a secret... I was able to try it on brownies and chocolate cupcakes. To find out more about these recipes, why don't you grab your copies now at the different bookstore around town and let us all live a happy and healthy gastronomic life, indulging in Malunggay! Thanks Chef Day for inviting me and for letting us know about the book! *The Malunggay Book: Healthy and Easy-to-do Recipes is available at P 130 each at all branches of National Book Store and Powerbooks. Part of the proceeds will fund the World Outreach Foundation Moringa Farming and Feeding Programs in the Philippines.